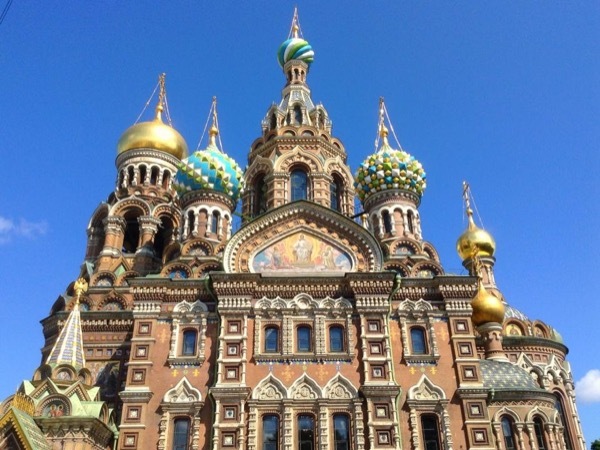 Traveler Reviews for Private Tour in Sankt-Peterburg, Sankt-Peterburg, Russia by Tour Guide Irina K.
We asked Irina, if she would customize a tour of 4 people, while our ship was docked in St Petersburg Russia for two days. Irina was very responsive to our request, communicated frequently and put together more than 10 venues, that not only included Peterhof and Catherine Palace, but an outstanding canal cruise. Irina took care of Visa's, tickets, lunch reservations. All we had to do is meet her at the ship's terminal and she took everything from there. The tour not only met but exceeded our expectations. TOUR GUIDE RESPONSE: Dear Miriam, It was a big pleasure to provide your wonderful family with the tour. I also enjoyed our time together. Thank you for your rating! Good luck and take care! Kind regards, Irina. We have unforgettable experience with our guide Irina who admires her city Saint-Petersburg and make us all fell in love with this beautiful place. We will never forget these two days . She is very professional amazing and very responsible person who made these 2 days for us the happiest days in whole journey. It was very easy to communicate with her - she speaks fluently Russian and english. We believe everybody will enjoy to work with such a person. Marina,Michael,Irina,Julia, Gregory. Irina was fabulous. A real wealth of knowledge and so willing to do whatever we wanted! So glad we booked with her. St. Petersburg was a real treat! TOUR GUIDE RESPONSE: Dear Leslie, Thank you for coming and bringing good weather to St-Petersburg. It was a true pleasure to guide you. Best wishes, Irina. Irina is a walking/talking encyclopedia,don't be fooled by the fact that she is young. it was a real pleasure to be with her. i let her decide whats best for me and it was perfect. she even took me shopping!i chose her by chance but i won a perfect 2 day vacation. if i could hire her as my global tour guide i would definitely do that. thank you so much Irina and the best of luck to you. TOUR GUIDE RESPONSE: Dear Monica, I also enjoyed our tour as it was so personal. Thank you for coming! Hope you will come back some day. Kind regards, Irina. Our group of 4 spent 2 days with Irina touring St. Petersburg and visited most of the major sites in the city. She is very knowledgeable and accomodating to our cruise schedule. Irina setup a cruise for us around the city on the river Neva that we truly enjoyed. We has great energy and is very pleasant and professional. We highly recommend Irina. We found Irina to be a special guide in that she overachieved our expectations in every aspect. She was an excellent communicator and great story teller as it related to Russian/European history . She posses an incredible memory for facts , events and rulers dating back to the 1700's . She had passion , was punctual and flexible in the creation and execution of our itinerary . Highly professional and engaging . If she is available I would highly recommend booking her . The best guide ever . A perfect 10. TOUR GUIDE RESPONSE: Dear Henry, Your review is above any words I was told. I am more than happy that you enjoyed our time so much! Definitely we will stay in touch, you know that it was very special tour for me also. I keep missing you even month later. Hope to see you again someday. Take care my dear friends! Best wishes, Irina. TOUR GUIDE RESPONSE: Dear Bill, I enjoyed your company so much, thank you for the wonderful review. I hope back home everything will be OK very soon. Please come back someday with your families. Best regards, Irina. Irina was absolutely outstanding. We saw and did everything as planned and right on time without rushing. A fountain of knowledge but not overwhelming with too much data--just right. She was worth more than 5 stars! TOUR GUIDE RESPONSE: Always a pleasure to organize someone's trip. Thank you for coming! Irina is awesome! She's so flexible, and adjusted our days based on the feedback we provided. She loves Russian history and knew so much about the early days of St. Petersburg up to today. I highly recommend booking her now!! TOUR GUIDE RESPONSE: Dear Adrienne, That was wonderful trip with you and your father. I really appreciate your interest in history and country itself. Hope that St-Petersburg now is one of the places you would love to come back! Kind regards, Irina. Irina was a fantastic guide. Her communication prior to the tour was excellent, and answered the many questions we had. The tour itself was amazing, Irina's passion for what she does, and her knowledge regarding the history of Russia and St Petersburg is outstanding. We thoroughly enjoyed the two day tour. St Petersburg is certainly a city that we would visit again if ever the opportunity arose again, and can highly recommend Irina as a tour guide. TOUR GUIDE RESPONSE: Dear Margaret and David, It was my pleasure to show you the best sights of the city. Wonderful to hear that you enjoyed our time spent together, same with me. Hope we will stay in touch, wish you all the best, Sincerely, Irina. Irina was the best guide we wish for. Our trip wouldn't be same without her. She told us a lot about the history and showed us all that was worth to see. If we come back, we would suddenly have Irina again. TOUR GUIDE RESPONSE: Dear Therisa, Even out trip was in May I still remember your wonderful team. Such a please to hear that you liked our trip. Thank you for the interesting time we spent together. Wish all of you good luck and take care! Sincerely yours, Irina. The tour was as advertised and Irina the guide was outstanding with plenty of history. She was friendly and accommodating. This was a great value. TOUR GUIDE RESPONSE: Hi Doug, Thanks a lot for comming and bringing such a nice team! The whole tour was a pleasure. Best wishes! Irina is a charming and knowledgeable guide who organised an excellent two day tour of St Petersburg for our family of four. With her guidance and advice we were able to plan an unrushed, personal city tour with sufficient time at each of our chosen sites to allow us, for example, to climb St Isaacs tower and to take in views from St Peter and Paul fortress. We were able to walk in the city and gardens, take a canal boat tour and sample typical Russian food in local restaurants for lunch. Thank you Irina! We came to St Petersburg on cruise for two days. So glad I contacted Irina before the trip. We had the best time in St Petersburg, we couldn't do it without her. Irina speaks great English, is very considerate and straight forward, easy to work with. She loves history and art (me too) and is very knowledgeable which I really appreciate! She is the perfect tour guide for us. If I ever come back to St Petersburg, I will definitely contact her again. Irina was fantastic, we saw so much during our 2 days in St Petersburg. She is knowledgeable and friendly and made everything very enjoyable and interesting. She was very organised and had all our tickets pre-booked so we didn't have to wait for longer than it took her to collect them, and her timings were great, we always seemed to arrive for things at the right time eg just before the fountains were switched on at Peterhof. Thanks, Irina, for a very memorable visit to St Petersburg. Irina is a knowledgeable, energetic, and personable guide. We highly recommend her and would retain her again in a heartbeat. TOUR GUIDE RESPONSE: The best reward for guide to read such review. Very glad that you appreciated my tour. Best wishes! TOUR GUIDE RESPONSE: All the best, thank you so much! Irina was a fantastic guide - she customized a two-day tour for us to include some specifics on our list, and was absolutely full of great historical and local information. A pleasure to talk to and travel with, I have already recommended her to a fellow traveler met in transit, and wouldn't hesitate to do so to anyone I know planning a trip to St. Petersburg or surrounding areas. I hope to get back there myself and plan to try to book Irina again if possible. Thanks for a lovely two days - ! perfect guide; everything was organized; everything was on time; Irina is the reference class for local guides!! We found Irina to be a fantastic tour guide. She had fantastic knowledge of all the places we visited, she planned the itinerary very well to maximise our time in St Petersburg. Her English is excellent, and having travelled herself, understands other cultures, as well as English language nuances and humour. She has a great personality and we got on really well. She was always well organised. I would recommend her without hesitation. Had a really great day 1 with Irina covering the must see sites in St Petersburg. She was well organised and extremely knowledgeable when we visited the Hermitage, pointing out things which we would not have noticed if we had been on our own. A very full day and we felt that we couldn't have seen any more in the time available. On day 2 Irina wasn't available but her stand in, Dascha (probably spelled wrong! ), was also very knowledgeable during our visit to Peterhof and St Catherine's Palace. Great!!! TOUR GUIDE RESPONSE: Thank you so much) I definitely enjoyed my day with you. Wish you good luck! Irina was great! We spent 2 lovely days together and learned a great deal. Our experience was more personal and educational than any of the large cruise ship tours. Highly recommended! We have used Tours By Locals extensively in the past with outstanding results and our trip to St Petersburg with guide Irina K was no exception. We were a party of 5 and to have such a close relationship with her for two days was invaluable. She not only showed us her lovely city, but we grew to know her as a person and learned a bit of her culture, which in the end is often more important. Thank you Irina for such a lovely visit. TOUR GUIDE RESPONSE: Thank you so much, I'm very glad to hear from you! Wish you a lot of beautiful places on your way. We were 2 families of 4 from New Zealand and incredibly lucky to have booked with Irina K. Irina has a gorgeously friendly nature, historical and contemporary knowledge of her city belying her youth, passion for her job and importantly, her ability to 'read' us and our requirements was second to none. We highly recommend her as a tour guide if you want quality guidance that is coupled with friendliness and an ability to provide flexible efficient service to suit your needs. Good luck and enjoy. TOUR GUIDE RESPONSE: Thank you so much for your warm words, I miss you guys! Good luck!